As an owner of a cleaning company, I have to be WOWED!!!!! 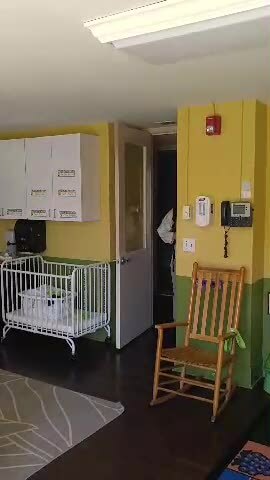 to look at a new cleaner. After learning and trying BAC, I was excited to find a true green product made with organic whole plants. There are so many companies with untrue claims!!! It is important to me for myself and my employees to be working with safe, yet effective products. It is equally important when we enter a home or business to ensure their safety!! We love the smell of the special reserve blend (vanillin). We are using it everywhere, since you do not have to rinse it. It has been a very tough season of cold and flu’s, so we spray this on all faucets and phones. 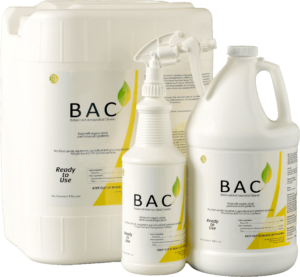 We especially like BAC in the bathrooms, it is a good solid cleaner ranging from sinks to toilets. The house looks and smells Amazing! I am so pleased with the work you did! You are great at what you do. Quick question??? Can I buy a bottle of your spray from you? I have some wood furniture that has mold on it from being in an unclimate controlled unit and I really know your product will work from what it did at the project house. Anyway if you do sell it can you let me know how much and when I could meet you?